3.75” Scale Fortnite Figure Lot Many Weapons & Accessories! Tier 100s! Todd McFarlane Spawn Reborn Clown 4 IV Comic Art Action Figure 7” BOO! Condition is New. These toys are hot with the upcoming movie. McFarlane Toys Spawn Reborn Wings Of Redemption Series 3 No Reserve Hot Movie! Spawn The Movie Attack Spawn AKS McFarlane Toys Ultra Action Figure NEW. Condition is New. Shipped with USPS Priority Mail. No Reserve Todd McFarlane. Condition is New. These toys are hot with the upcoming movie. Spawn Action Figure 1998 McFarlane. Condition is Used. Shipped with USPS Priority Mail. Condition is New. Manga Spawn. Manga Cybertooth. Manga Goddess. Manga Cyber Violator. 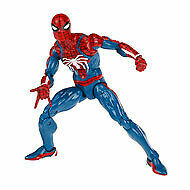 You can have this great figure from the Todd McFarlane Toys line! Never been opened! The figure(s) are mint and in the box or on the card! I always combine shipping so take a look at my other auctions! Shipping is $5.95 to the USA! Each additional figure is just $2 more! I always ship in a box unless asked not to. Other counties it will be $40. I know that is step but the only way I get tracking is if I go priority. Sorry about that! Please take a look at my feedback. I am sure you will find that I am an honest and trustworthy seller! This is aSpawn McFarlane's Spawn Nitro Riders Green Vapor. 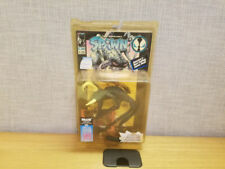 Todd McFarlane Spawn New In Box. By McFarlane Toys, 1999. Pictures are of exact item you will receive. 2000 Todd Mcfarlane Classic Spawn Figure loose with base. Condition is Used. Shipped with USPS Priority Mail. One of the chains is loose. Couple of dings on the back of the cape. Mcfarlane spawn action figures lot. Condition is Used. Shipped with USPS Priority Mail Large Flat Rate Box. 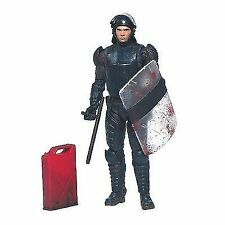 New ListingDAVID MACKS KABUKI MOORE ACTION COLLECTIBLES . DAVID MACKS KABUKI MOORE ACTION COLLECTIBLES, Condition is New. 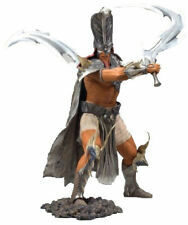 CURSE OF THE SPAWN "ZEUS" MCFARLANE TOYS SERIES 13 - 7" ACTION FIGURE NEW in BOX. Condition is New. Shipped with USPS Parcel Select Ground. Here is a McFarlane Toys set. Interestingly, the writing is Chinese (even though the manga concept is strongly associated with Japanese culture). Have you ever wondered if the toy makers are having fun with their jobs?. Well, there is no doubt that the folks at AEB Studios (the firm that does the design and sculpting work for McFarlane Toys) are getting a kick out of what they do.and it shows. Selling for a friend, I know nothing about these toys so please look at all photos before bidding :) Mcfarlane Toys Actions Figures SPAWN. Condition is Used. Shipped with USPS Priority Mail. We are happy to help and respond in a quick and prompt manner. The Bloodaxe 2002. Mcfarlane Dark Ages Spawn "The Viking Age ". Spawn Special Edition Spawn III Series 7 McFarlane Ultra Action Figure NIB 1996. Condition is New. , see pictures for condition. This LARGE REPAINT VARIANT is FAR MORE DETAILED than the common version and much harder to find. The pile of skulls with the oozy yellow liquid is included. NEW McFarlane: Spawn Series 31 - Goddess Llyra. Condition is New. Please see all the pictures for exact condition. Feel free to message me for any additional pictures or any questions you might have. Shipped with USPS Priority Mail. Mcfarlane Toys Spawn Billy Kincaid issue 5 The art of Spawn Toy Club Exclusive. Condition is New. Item has never been removed from it's original packaging. Inner retainer bubble contains some yellowing. NO INTERNATIONAL SHIPPING!!! If you have any questions or concerns, feel free to message me. Never opened. Box is still factory sealed. It comes from a pet free and a smoke free environment. Pictures are of the actual item and not stock photos. Please view the pictures for box condition and the figure. Buy it now price is for one item. There are two available. Items are shipped at random. You are guaranteed to receive one item. All items are shipped in bubble wrap and corrugated cardboard or similar products. Email with questions! 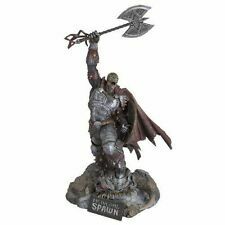 McFarlane Toys Classic Spawn V Action Figure Series 17 New Sealed On Card 2000. Condition is New. Shipped with USPS Priority Mail. Series: Spawn Series 4. This will be boxed up safe and sound and sent to you quicker than a speederbike! RELEASE DATE. Paint: Original Paint. Used McFarlane Toys Spawn the Movie 13" Action Figure Malebolgia . Condition is Used. Shipped with USPS Priority Mail. 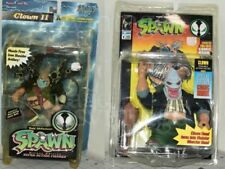 McFarlane Toys Spawn Series 1 Clown Action Figure with Comic Book, New/Unopened . Condition is New. Shipped with USPS Priority Mail. 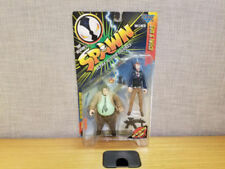 Spawn action figures NIB. 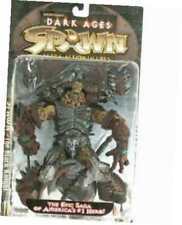 Spawn Violator Monster Rig (box is taped) Attack Spawn Spawn Dark Ages the Raider Condition is New. Shipped with USPS Priority Mail. 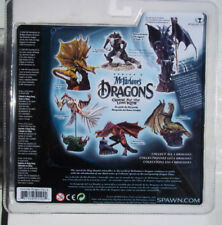 New ListingMcfarlane Spawn INTERLINK 6 complete set Still In Package. McFARLANE SPAWN SERIES 1 CLOWN FIGURE LOOSE COMPLETE with Comic Book!! McFarlane Toys Spawn The Movie Jessica Priest Action figure, Brand New!